The Volkswagen Jetta lets you enjoy the space of a luxury vehicle while maintaining the fuel efficiency of a small sedan. VW knows that even commutes can be fun, and they prove it with energetic engine options. 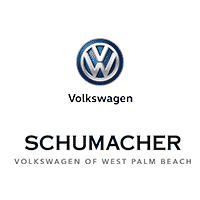 But don’t worry – the Volkswagen Jetta’s superb fuel economy means you can travel to and from your West Palm Beach, Florida, destination without a care in the world. 2019 Volkswagen Jetta 1.4T S Platinum Gray Metallic CARFAX One-Owner. FWD 8-Speed Automatic with Tiptronic 1.4L TSI Storm Gray w/Cloth Seat Trim, ABS brakes, Electronic Stability Control, Illuminated entry, Low tire pressure warning, Remote keyless entry, Traction control. Odometer is 585 miles below market average! 30/40 City/Highway MPG Come Join the Family!! 2019 Volkswagen Jetta 1.4T S Black Uni CARFAX One-Owner. FWD 8-Speed Automatic with Tiptronic 1.4L TSI Titan Black w/Cloth Seat Trim, ABS brakes, Electronic Stability Control, Illuminated entry, Low tire pressure warning, Remote keyless entry, Traction control. Odometer is 1915 miles below market average! 30/40 City/Highway MPG Come Join the Family! !